It’s January and we’re coming super close to the national holiday that is Martin Luther King Jr’s birthday. We’re also coming up to National Day of Service which is observed on the Monday, January 19th this year. 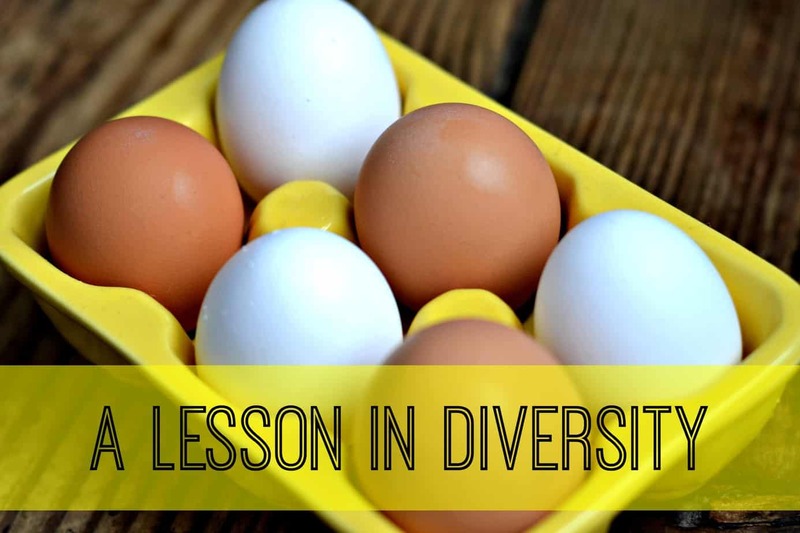 In our house, we’ve been learning and teaching diversity for a while, especially with attacks on so many different groups of people worldwide in the last year or so. We have several lessons planned to handle more units with Dr. King, but here is one that we did earlier this week. 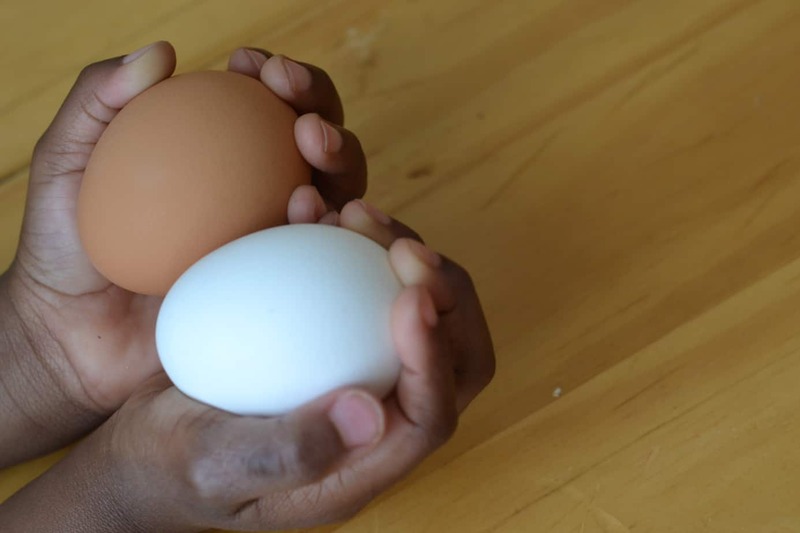 Teaching diversity to little ones doesn’t have to be very hard, and using a kitchen staple to do it allows for understanding to click much faster than words alone. My children are visual learners. 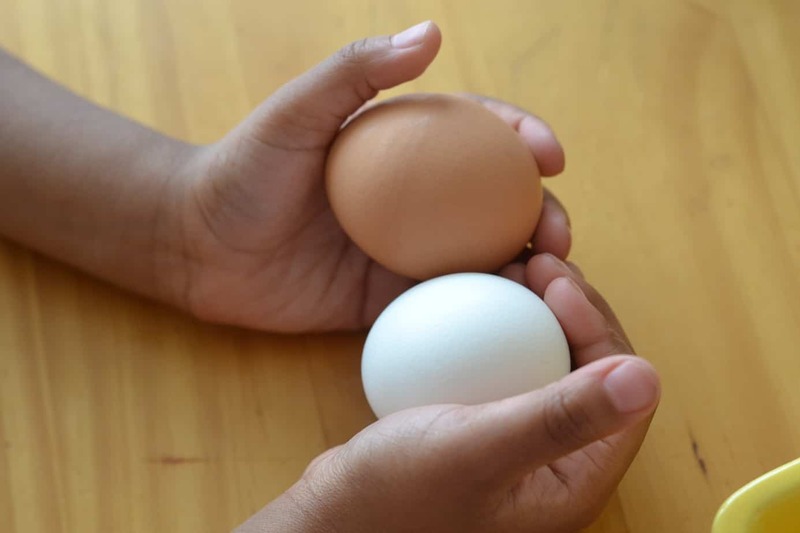 They also need to be able to touch lots of things from our lessons, and they have been BEGGING me to crack some eggs before I scramble them, so I thought this week was as great as any to teach them what diversity is and how it is one of the sole reasons that people are awesome. At the beginning of the lesson, I likened the yellow egg crate to a bus (to which Lil Miss screamed out – it’s a school bus!!) and shared how back when my grandmother was younger, it was illegal for black people to ride in the front of the bus with white people. I was immediately corrected by Lil Miss and told that we are BROWN people and that she has never seen a black person. I’m sure we’ll explore that more when she’s older. How Would I Go About Teaching Diversity? I stated that diversity is several things that are different that may be in the same area. I then asked what’s diverse that they know about. I got – fruits, vegetables, bread, and drinks. I asked them if people were diverse. The Ladybug said no at first, and then emphatically said, their HAIR is diverse. I asked if people were more diverse than their hair. It took a bit of thinking power, but we came up with ways that people are diverse too. Their eye colors. Their clothes. Their shoes. Nail polish. Ear size (Sir Twizzler) and how tall they were. 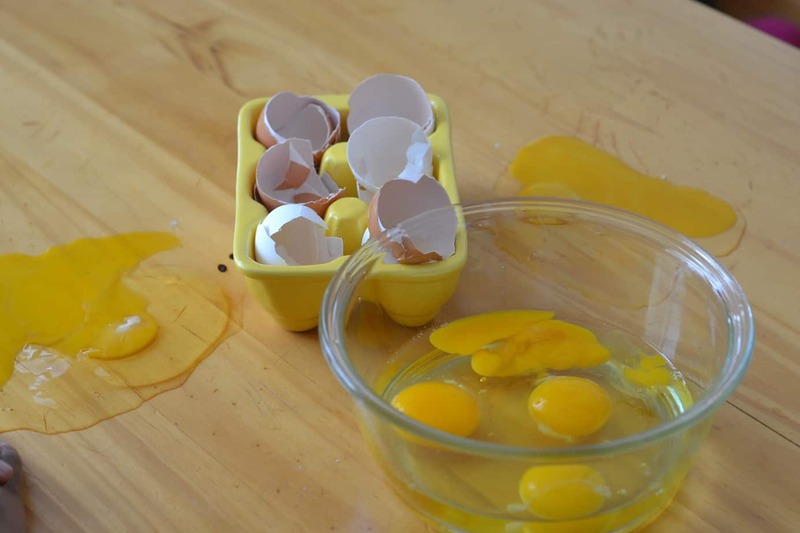 I then asked about skin, and introduced the eggs. I asked if they thought the eggs were diverse. 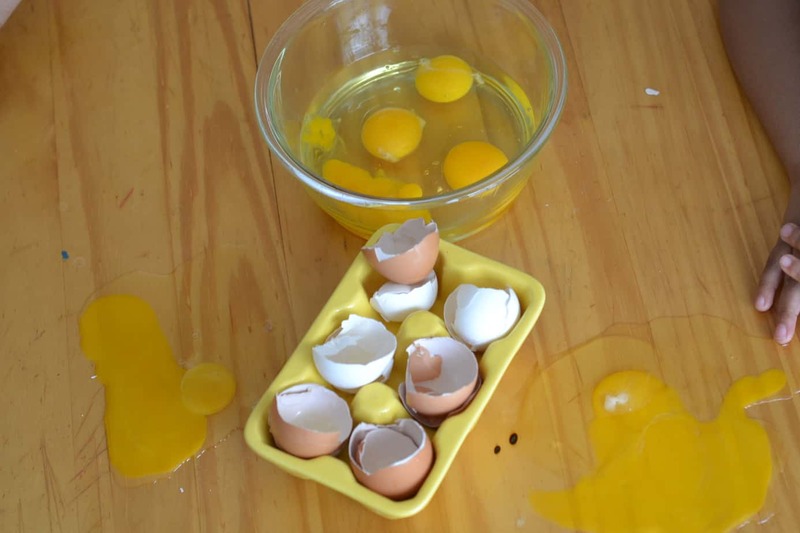 I was told yes, because of one egg being more oval shaped than another. 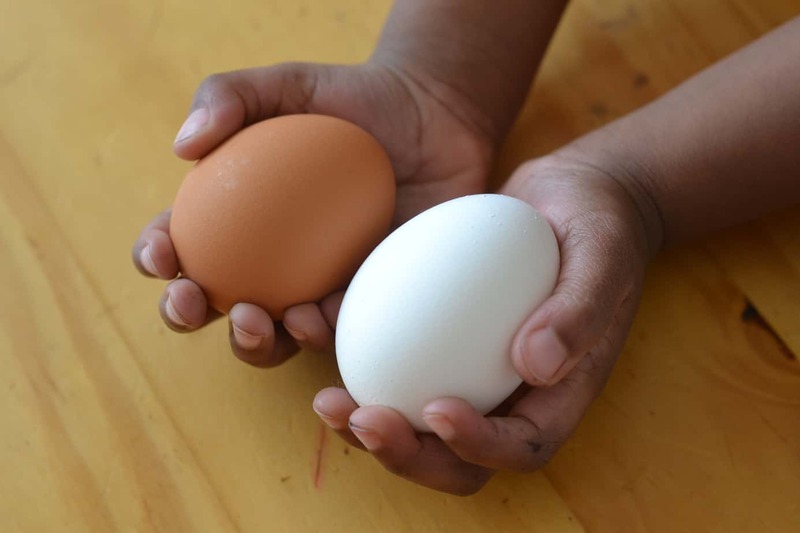 We talked about the color of the eggs, and if we thought they had the same things inside. Lil Miss said they both had those yellow babies inside! So I let them crack them, and see if they were indeed the same inside. We lost two eggs, but they said that those eggs didn’t want to go swimming in the pool with the others because they didn’t have their swimming suits. The hilariousness of children. Of course, we scrambled up the eggs, had breakfast and then retired to our living room to watch The Land Before Time, which also happens to be a great movie to teach diversity. If you don’t have that, think Dinosaur Train on PBS. Until then, continue to teach your children to embrace the differences and similarities of everything, because beauty can definitely found in them. I love how you taught this to those adorable children. I want to come to your home, eat eggs and watch The Land Before Time.